Siding adds a touch of tradition and can spruce up the exterior of what is essentially a plain house. It is usually made out of wood, particularly in older homes. While that material is warm and inviting, it also requires constant maintenance and repainting to keep in tip-top shape. Wood siding also suffers from cracking, cratering, chipping paint, stains and brush marks. To avoid these issues, it might be better to consider investing in fiber cement siding. 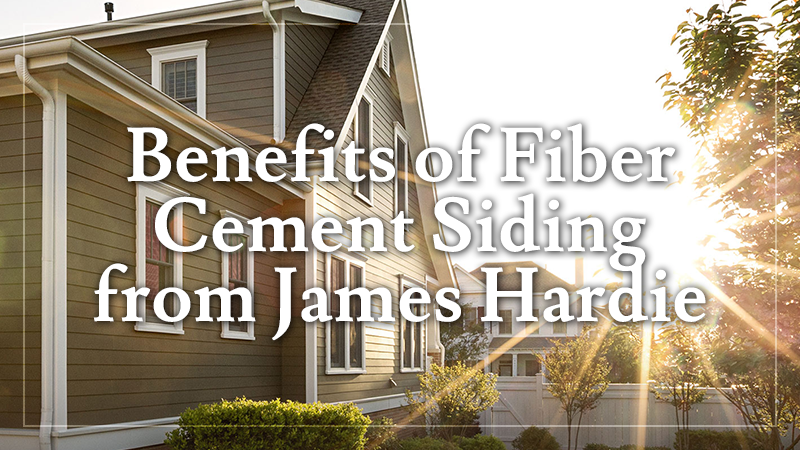 Fiber cement siding from James Hardie® presents the appearance of wood without any of the disadvantages. The following are some of the benefits of this housing element. Fiber cement siding does not ignite when exposed to extreme heat or direct flame, making it more fire-resistant than wood, which easily burns. This is one of the reasons houses with this type of siding tend to have lower insurance premiums. It resists water absorption, which prevents the problems of freezing in the winter, as well as excessive heat and humidity in the summer. Too much sunlight or sea air does not damage the board, making it suitable for applications near the coast. Over time, wood cracks and deteriorates, while fiber cement siding retains its solidity. Among other insects, termites enjoy making a meal out of wood siding, something they would never do with fiber cement siding. 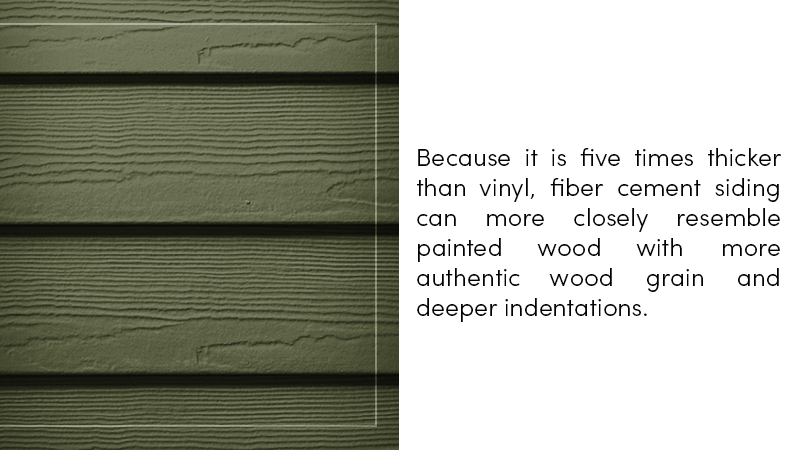 Because it is five times thicker than vinyl, fiber cement siding can more closely resemble painted wood with more authentic wood grain and deeper indentations, which works to preserve the aesthetics of historic homes. In fact, the material can be made to look like any other, as well as wood products, such as shingle, lap, fascia, trim, panel and soffit. It can be painted, although not as often, saving as much as $5,000 over 15 years. It requires minimal upkeep and, with ColorPlus technology, can have the color baked into it to resist fading after many years. Unless it comes from old-growth trees, wood remains a green building choice because it can easily be grown. It is also biodegradable so it does not remain stable in a landfill for hundreds of years, which is what happens to synthetics like vinyl. Fiber cement board is composed of inert materials, such as water, cellulose fibers, sand and cement. All of these materials are also sustainable and do not release hazardous waste into the environment. Because of its durability and sustainability, Hardie board is approved for use in construction looking for LEED® certification. The cost of fiber cement siding compares favorably with other siding options and is actually cheaper than some wood siding, such as cedar. When you add in the price of constant maintenance required by the natural material, Hardie board saves you money over the long run. It includes a 15-year warranty that covers chipping and fading, and a 30-year limited product warranty that is transferable. The Cost vs. Value Report from “Remodeling Magazine” ranks Hardie board as first in terms of return on investment for siding with remodeling projects.